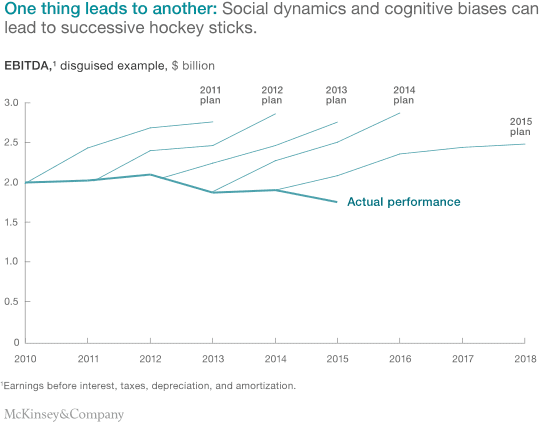 McKinsey consultant Chris Bradley calls these graphs “hockey sticks.” I look at these as visual artifacts of failed strategic execution. They point to the company’s inability to make bold moves: Lots of talk that doesn’t translate into meaningful action. What gets in the way? 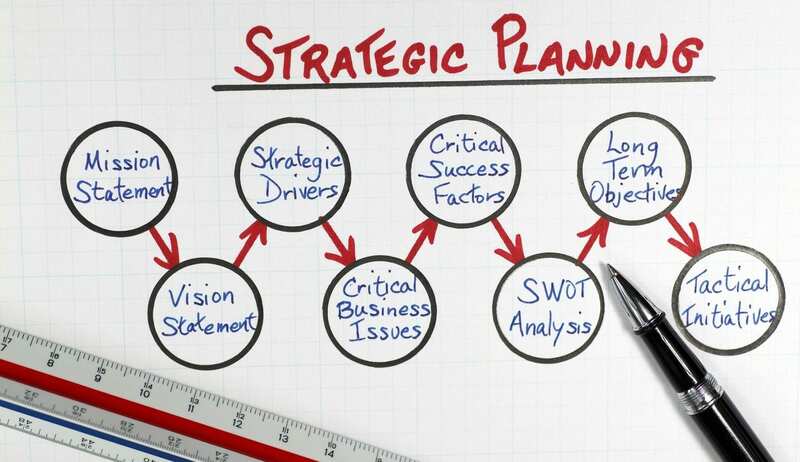 Why do strategic plans often fail? It’s true that frameworks for defining a strategy and breaking it into a strategic plan aren’t that simple – but they aren’t that complicated either. Yes, strategic planning requires discipline and a systematic process. But that kind of process and facilitation expertise is widely available – bring in an in-house or external strategic planning consultant. In order to get buy-in that is not simply “lip service,” but a true “all for one and one for all” effort, a team needs to balance the strategic/rational side of the strategic planning process with the emotional aspects. Enthusiastic buy-in into your strategy statement entails members committing to the entire process – not just the end product. Start with the big picture: You need a shared sense of purpose to inspire passion, and you need a vision to align action. Resist the urge to focus on building on what’s there. Take a step back and observe the company from a bird’s eye view first. Asses what is before planning what will be. Half-way through the process – with leadership on the same page about mission, vision, and strategic priorities and required capabilities, involve folks who would own the implementation to hash out planning details and to explore cross-functional opportunities/dependencies. This will foster their emotional buy-in. Create some compelling and pithy visuals that state your strategy and key milestones and use those visuals as your “hymn sheet.” I encourage teams to: communicate, communicate, communicate – have everyone deliver the same message for a feeling for oneness, alignment, and momentum. The overall feeling of safety to explore and commit to the strategic plan is an essential part of the process. Stakeholders and employees alike will feel empowered to make bold moves and avoid hockey sticks, only after considering all opportunities, assessing risks, and acknowledging doubts from both a process and a human perspective.